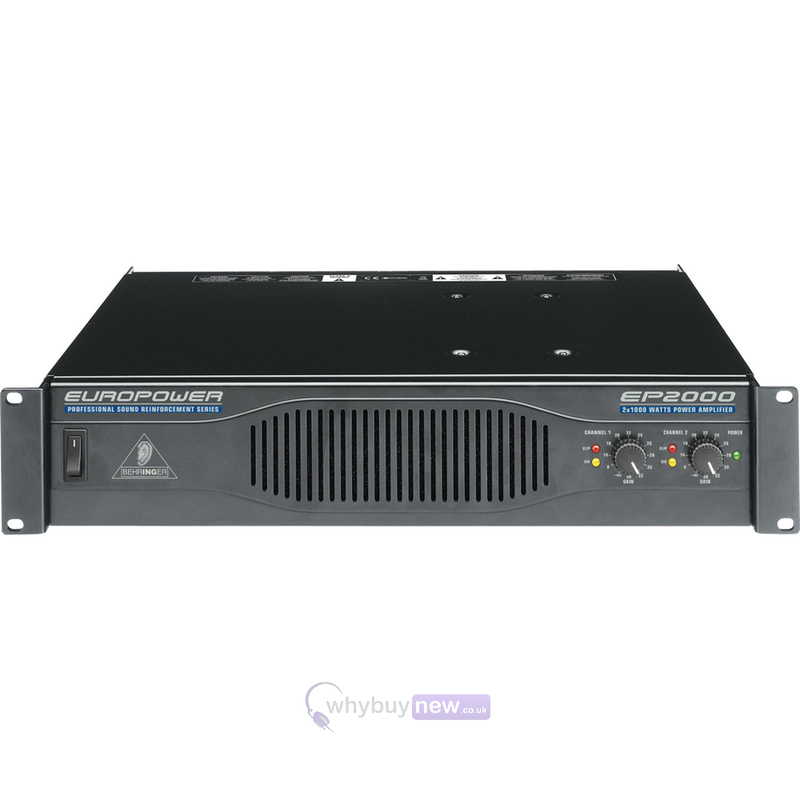 This great value Behringer EP2000 amplifier comes boxed in excellent condition and with a 1 year warranty after being used for display purposes only! Unit includes the manual, power cable and original packaging. 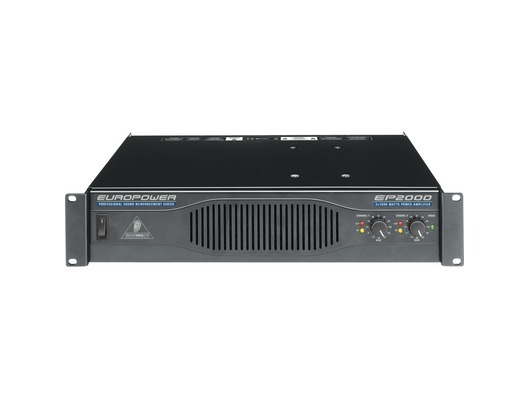 The Behringer EP2000 Professional 2,000-Watt Stereo Power Amplifier comes with ATR (Accelerated Transient Response) Technology. The Behringer EP2000 delivers precise power, signal and clip LEDs to monitor performance. The Behringer EP2000 is protected with an impact-resistant, all-steel 2U rackmount chassis. XLR & jack inputs, Speakon & binding post outputs. Dimensions 88 x 483 x 402mm (19"/2U).